The paper examines whether routine data from prisoners’ files is a useful basis to estimate prevalence rates of illicit drug use among prisoners. Medico-legal files of 190 younger (20–49 years) and 190 older (50–75 years) male prisoners from 13 prisons in Switzerland were analysed. Indications of illicit drug use were extracted based on recorded legal measures, notes from health care professionals, diagnoses related to the use of illicit substances, prescribed medications, other treatment indicators, and results from mandatory drug tests in prison. Estimated lifetime prevalence of illicit drug use based on those indicators is 50.0% for younger and 24.2% for older prisoners. Current cannabis use is an estimated 10.0% and current cocaine, opioids, or other drug use 4.7% for younger prisoners. Among older prisoners, prevalence of current cannabis use is an estimated 3.2% and of other drug use 0.5%. 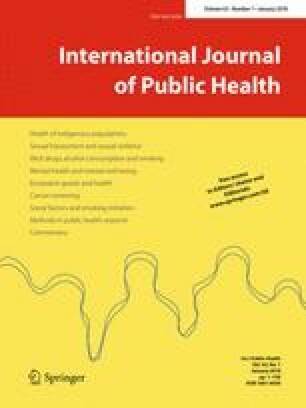 The paper concludes that analysing routine data is a reasonable alternative to surveys if prisoners’ files are kept more complete and concise and if data is collected for no other purpose than to benefit prisoners’ health. We are very grateful to the prisons and prisoners who gave us access to their files. The “Agequake” study was funded by the Swiss National Science Foundation (Grant no. CR13I1_135035). BA was supported by the University of Basel “stay on track” measure for highly qualified female postdoctoral researchers in early stages of motherhood. The authors would also like to thank Dr. Violet Handtke for data collection, Angelo Belardi for data management, Dr. Edi Kradolfer for data analyses, and Dorit Barlevy for English revision of the manuscript. All procedures performed in studies involving human participants were in accordance with the ethical standards of the institutional and/or national research committee and with the 1964 Helsinki declaration and its later amendments or comparable ethical standards. 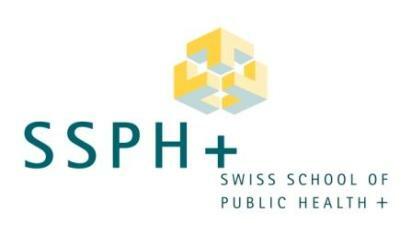 Ethics committees (n = 10) of all involved Swiss cantons approved the study. Individual consent was not obtained in our study. Prisoners were informed about the study using flyers in different languages that were posted in the prisons and orally by prison health service staff. Those prisoners who did not wish their data to be anonymously extracted, had the possibility to opt-out from the study (i.e. denying access to their medico-legal files) by informing the prison health service. This procedure was approved by ethics committees of all involved cantons.